Tell us about a mistake you made: directions botched or misunderstood, minor disasters suffered because you did something incorrectly. I'm thinking of problems with "Some Assembly Required" projects, maps misread and appointments missed, problems learning to use technology, etc., preferably with hilarious results! Extra Credit: How good are you at giving directions, or teaching others to do something correctly? I'm almost certain I had an amusing story lined up for this, but darned if I can remember what it was. The best I can think of right now is the time in college when I was supposed to meet my then-boyfriend at the corner of, I don't remember now the exact intersection, but let's say South Salina and Colvin Streets, which is almost certainly wrong. Whatever the agreed-upon intersection was, I was there with my friend E., maybe two minutes late at the most but quite likely on time . It was winter in Syracuse, after dark, maybe 7 PM. We waited, peering out into the night, staring at every car that went by. No Bob. Remember, this was over thirty years ago: no cell phones or pagers or email providers were available to facilitate communication. All we could do was wait, or abandon the spot and go look for a pay phone. Many years later, John was to semi-duplicate this situation. My Mom and I were to meet him at Millie's Pancake Haus, and John was pretty sure he knew where that was. Only he didn't. I gave him the right intersection, but he either wasn't listening or assumed I'd gotten it wrong, and went to where it was in his faulty memory. Needless to say, he was late! This would seem to imply that I'm not good at giving or taking directions. I'm not sure I'd dispute that. When I was in elementary school. we took standardized tests called the Iowas. My lowest score each year was the section called Map Reading. 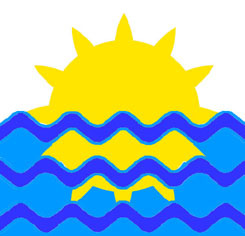 When I was an enurmerator for R.L. Polk in 1977, my favorite part of the job was getting lost on my way to or from the assigned addresses. 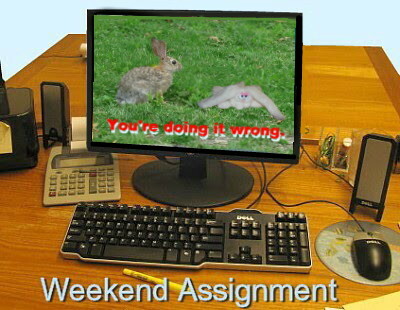 I'm pretty sure that tomorrow, instead of announcing the new Weekend Assignment topic, I will be announcing my retirement from this meme. After all, I've been participating in it for over five years, and doling out most of the assignments since John Scalzi left AOL a few years ago. Participation has waned, and it has become more of a chore than a pleasure for me. If anyone wants to take it over, please contact me and I'll gladly pass the torch. But never mind those. I had to run over past the deadline to finish, but I have a poster design that I think is truly motivational. But today she got out of Devon Gables long enough for Easter Mass and coffee hour, a fabulously indulgent lunch at Olive Garden, and a trip to Bookman's, the local used books and media superstore. It made for a long day, and I spent a lot of it positioning the car as close as possible to doors and ramps, and waiting for Jan to get where she was going. But I have to be inspired too. She's been through an awful lot this past year or so - losing her job, multiple health issues, financial difficulties and so on. 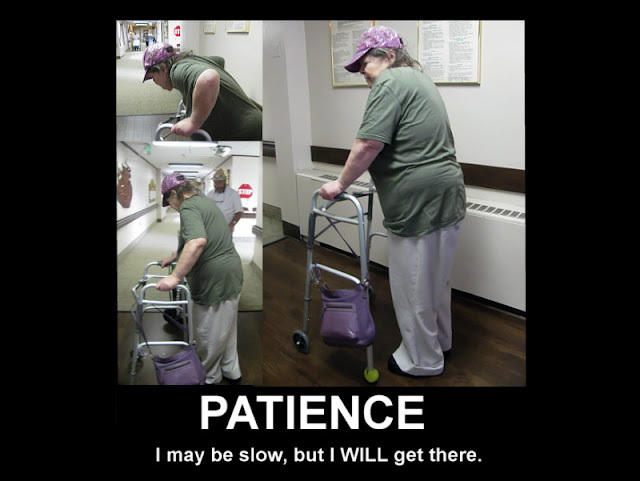 But she's battled through it all with patience and a positive attitude that I really admire. Brava, Jan! For this week's Round Robin, I asked to see "Springtime Celebrations." Lest it be all about just Easter and Passover, I pointed to a fun page full of April holidays and observances, many of them quite obscure and some of them downright silly. But for me, this week has been an immersion in Holy Week, the most church-intensive week of most Christian calendars. 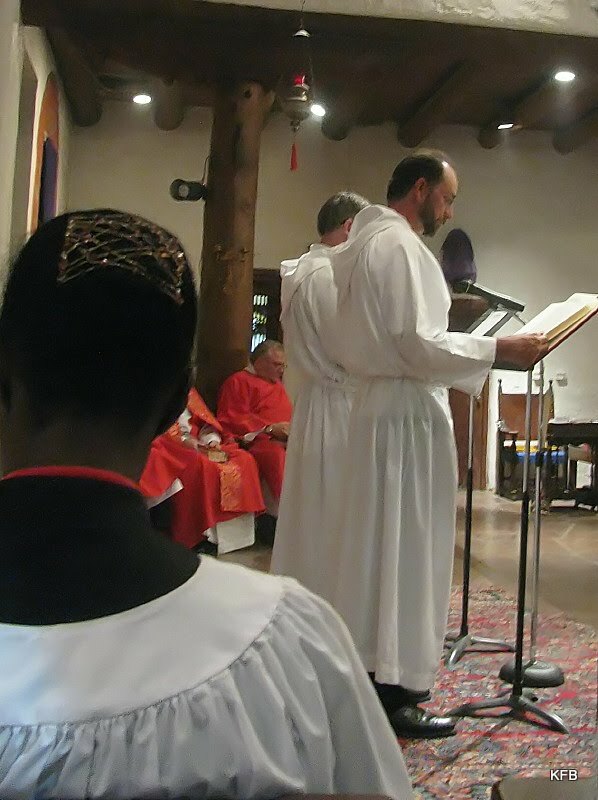 I serve at the 7 PM services on Maundy Thursday, Good Friday, the Easter Vigil on Holy Saturday and the main service on Easter Sunday morning. My friend Kevin and I ate lamb at the Maundy Thursday communal Seder-inspired meal, and later kept vigil last night at the Altar of Repose. Kevin is in the parish choir, and has been singing all sorts of special songs, hymns, canticles and chants this week. Holy Week starts with Palm Sunday, a week before Easter. 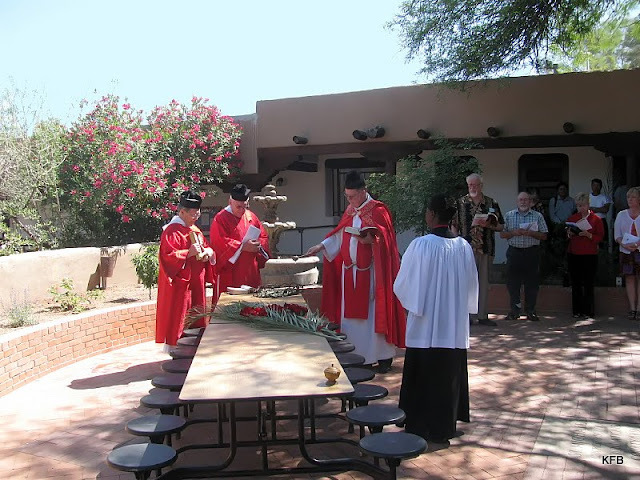 At St. Michael's it starts outside, where, among other things, palm branches are blessed and then carried into the church. The Passion (any of the four Gospel accounts of the death of Jesus) is sung several times during Holy Week. The guy with the beard is singing the words of Jesus. St. Michael's doesn't do a full Passion Play, but some choir members are given specific roles to sing. 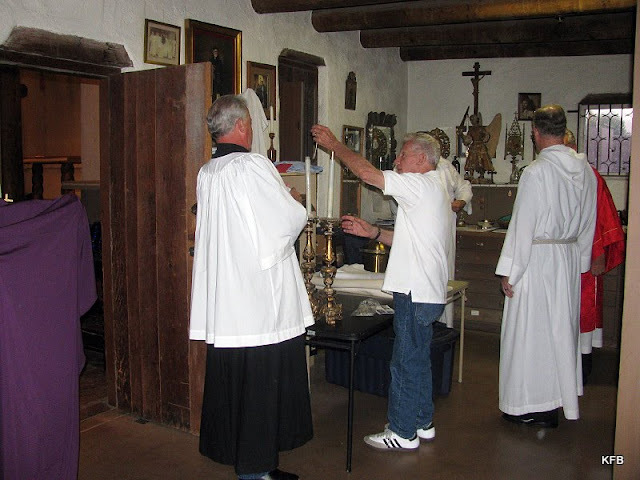 This is the sacristy, just off the main church, where the clergy and others prepare for services. The plaster candlesticks seen here are so old and fragile that one of them broke in the middle of a Holy Week service last year. The candle part is a plastic tube containing lamp oil and a wick. Bob here is replacing the wick. And hooray! Brooke and I managed to carry these candles to and from the back of the church without therm breaking again. All of these Holy Week services lead up to Easter, but since that's not until the day after this Challenge, let's move on. For some reason, the traditional Easter dinner involves ham. 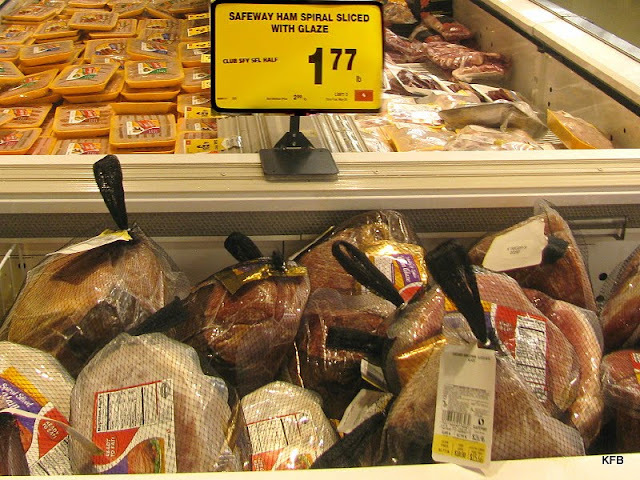 Safeway has a whole bin full of hams, each of which would feed John and me for a week. Only we're not going to do that! 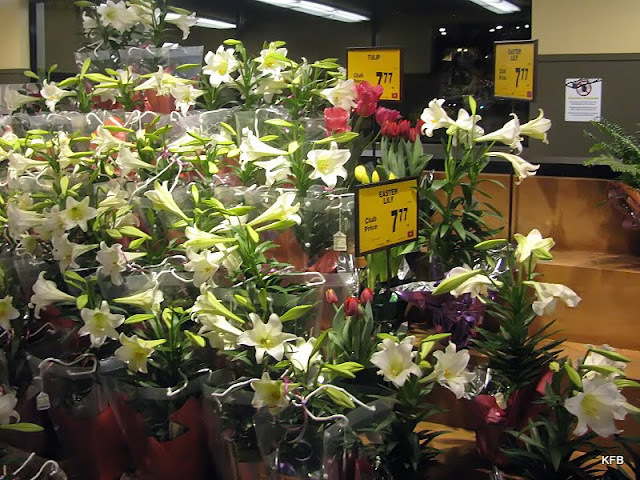 The traditional Easter flower is the lily. I don't know why. Kids get gifts from the Easter Bunny, theoretically. 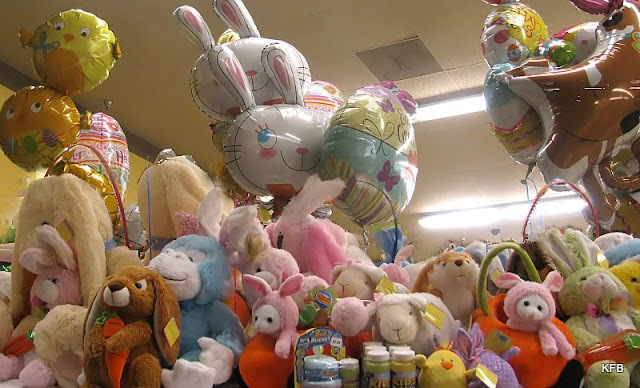 Here are a bunch of Easter-themed stuffed animals and balloons. There was a time when Easter baskets were filled with hand-colored hard-boiled eggs. That's what Paas food dye is for. Dyed eggs are also hidden in homes and yards so kids can have an Easter egg hunt. My mom once told me I was in an Easter Egg Roll on the White House lawn during the Eisenhower era. I must have been two or three years old at the time. That was over 50 years ago. I suspect that most people don't bother to color eggs anymore. 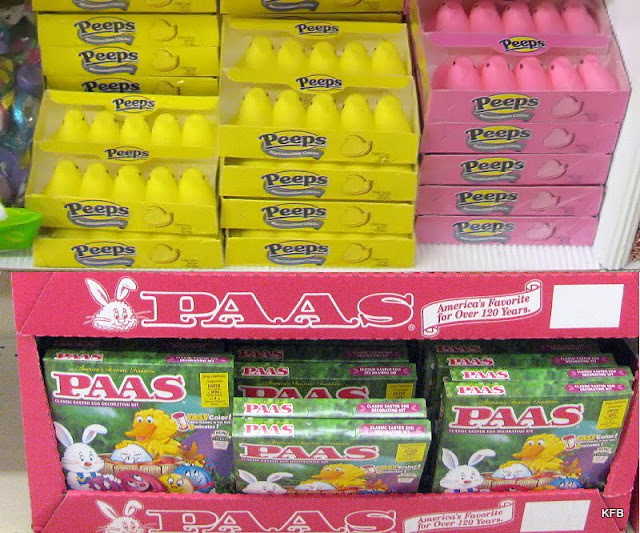 These days it's all about the candy: Cadbury creme eggs, chocolate bunnies, jelly beans and so on. Marshmallow Peeps are practically a cult unto themselves. I don't like them much myself! Now let's check out other Robins' Springtime Celebrations! Twice recently I've encountered a situation in which a recently-deceased person, loved and respected by many, left behind ill-feelings from some old hurt. One of these I won't be sharing with you, because it wasn't my hurt. All I'll say is that I had an email today from someone who had an unpleasant child experience with someone I personally never met. I was able to acknowledge the correspondent's feelings without either defending or denigrating the deceased. The other case is my own, and I think it would be churlish of me to mention who it was. It was a business issue, but it lingered long after the business was concluded. Basically, I was sent to approach this person and others with a contract, make immediate payment if the contract was accepted, and start arrangements for further negotiations if the proposed payment was deemed inadequate. I was far from home, acting as an agent for my husband's company. John was not with me, and my instructions were based on what we had been advised to do to secure these contracts. The advice came from a company with whom these people had a longstanding relationship. But I wasn't with that company, and the people I approached, with one exception, had no idea who I was or whether the company I represented was a legitimate one. Within half an hour of my starting this process, one particular person had been delegated by the others to interrogate me about this project, asking who had told us to approach the people in this way, who set the amount of money offered, and whether anyone would really be paid. Before the night was over I was practically in tears. This was someone I admired, as were all the people approached. And I was being treated with deep suspicion if not outright hostility. Eventually a contract was written that was acceptable to this particular person, who was promptly paid, receiving more than some of the others because of the relative value of the contribution. Other people received extra money in return for specific added services they performed for us. Happy ending, right? That's what I thought, but I was wrong. A year or so later, I heard about a similar situation involving someone else's company, someone else's product. It seems that the same people who worried about not being paid by us were, in fact, stiffed by this other company. (I think it was a case of the other company not making enough money off the product to meet its obligations, and consequently going bankrupt.) The two products were not all that similar, but the experience stuck in the minds of some of the people affected, and not just in connection with the company that really didn't pay them. About 15 years later, one of these people, who had performed the extra service and received the extra money, someone I knew personally, asked whether we had ever paid him. Granted, it was a long time ago to remember such details, but it bothered me to think that even this person who knew me thought I might have cheated him. As best I can tell, some of this lingering suspicion stemmed from that very same person who gave me the third degree that night. As recently as 2009, this person was telling people that we had never paid them, probably because of the other company's failure to do so. I considered writing to the person to try to clear our name, but I let it go. John's company is long gone, so who was really being hurt by the inadvertently false accusation? Then the person making the claim died, so it was too late to straighten things out with them. Understand, this person was admirable on many levels, talented and honest and generally kind to others. Even the questioning I got that first night can be seen as a righteous advocacy on behalf of a whole group of people who might otherwise be cheated. Nobody but me cares that my feelings were hurt, and even I shouldn't care. I need to let it go. This person should be remembered for all the good things they did, not a minor misunderstanding with someone they met only once. Similarly, the hurt feelings expressed in the email I received today do not overshadow the good things done by the other deceased person in decades past, as remembered by people whose experiences were largely positive ones. Nobody is perfect, and even this person's most ardent admirers tend to acknowledge the foibles along with the undeniable accomplishments. It is not up to me to judge or arbitrate the matter. Funny old thing, death. It cuts you off from mending relationships, resolving misunderstandings, handing out or accepting apologies. Yet it leaves you with all those feelings from the baggage left behind, pulled out from a cupboard and left on the bed for you to deal with. When my Mom died, we had long since resolved a relationship that was more than a little rocky after her divorce and for years afterward. What little baggage she left behind mostly involved other people, not me. When my friend Tracy died, we had no issues to resolve, and I had a painful but valuable opportunity to speak with her by phone on her dying day. When John's mother died, he spoke with her by phone as well and gave her his love, having no warning sufficient for him to say goodbye in person. When my childhood friend's father died, he left behind a misunderstanding caused by the dad's Alzheimer's, which left him believing something about his son that wasn't true. Now my own dad isn't in the best of health, and although our relationship is a good one I don't want to take any chances. I am very grateful to my stepmother Ruth for sending him out here for a visit this past January. There's a chance I may never see him again. At the very least, things being as they are, I need to call him more often. 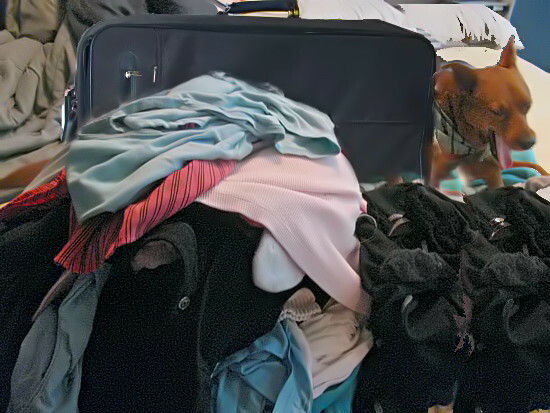 When I lose him at last, I don't want to find our shared baggage on my bed. For EMPS: Birds, I could have gone with archive shots, but instead I took a few minutes to stop at Reid Park, site of many happy rambles with my dogs. I didn't have time to go get Cayenne and Pepper today, so it was just me and my friend Kevin. And the birds of course! 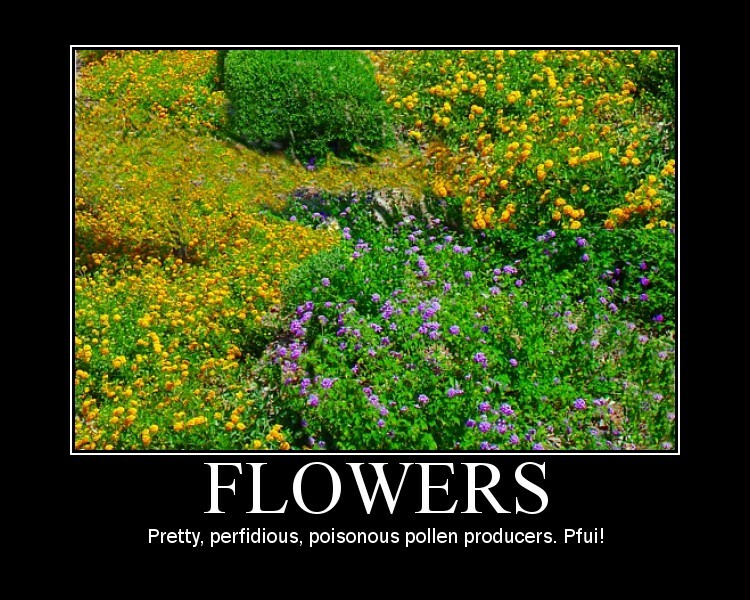 I just added a slew of pics to this and I've having trouble weeding out the less-good ones. 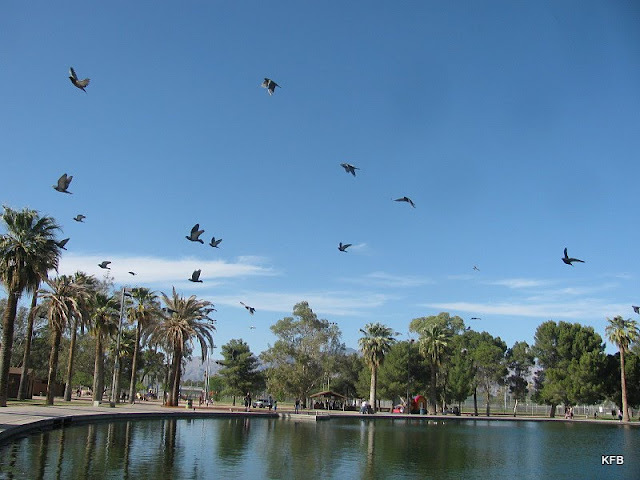 You see, there are so many kinds of birds at Reid Park. 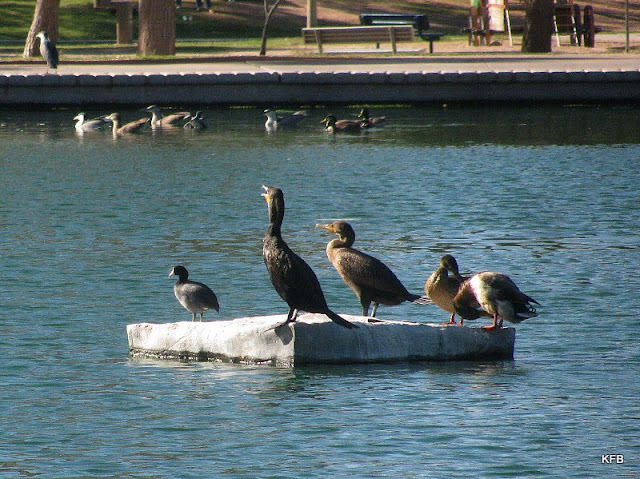 Here, for example, are two cormorants, a couple of ducks and a coot. 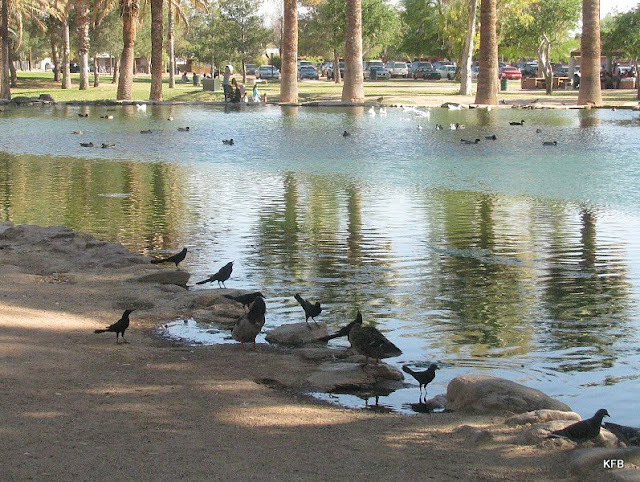 Cormorants are ocean birds, but these two don't seem to mind this desert oasis. A flock of doves takes wing. The line-up: Black-crowned Night Herons hang out. 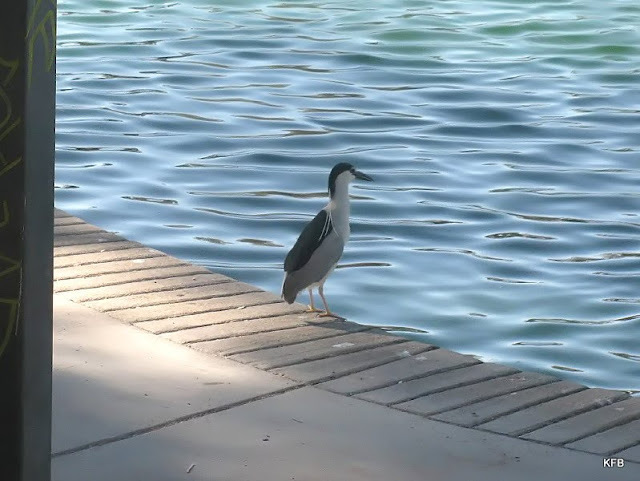 A mature night heron looking especially handsome. 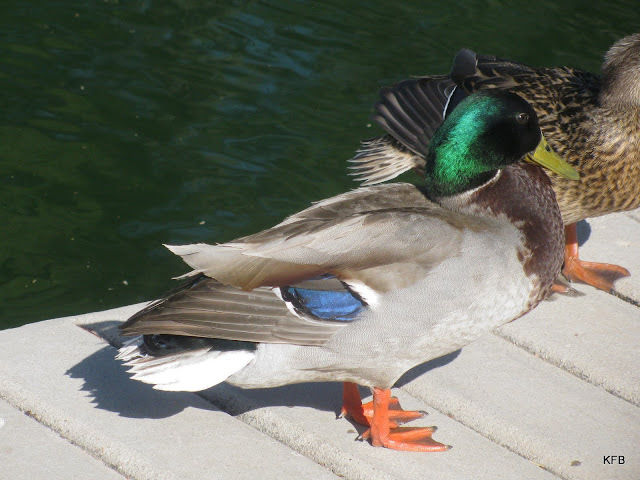 He's just a Mallard, but I was impressed with how close he let me get. Of course, that's because Cayenne wasn't with me! 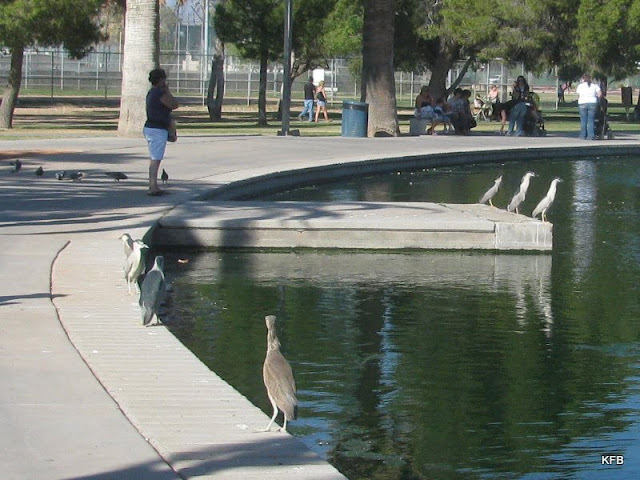 Great-tailed grackles and an immature heron. Doves. 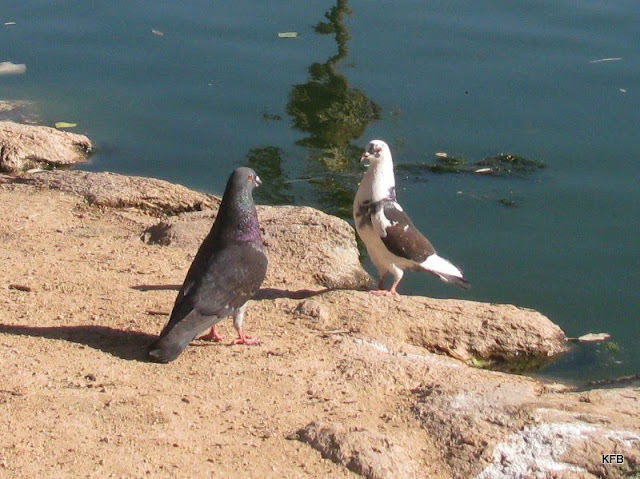 Or pigeons, if you prefer. Neglected, bitten and spat out. And see whether it grows inside me? My taxes are done at last! Are yours? What is your strategy for doing your taxes? Do you get them done as soon as you can get hold of the paperwork, put them off to the last minute, or something in between? Do you hire someone, do the work yourself, get your spouse to do it, or share the load? Do you mail forms or e-file? 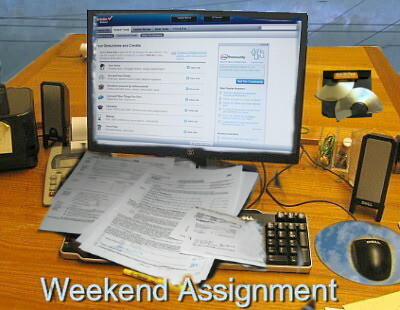 Extra Credit: Have you ever had to revisit a tax return after filing, due to an audit or other circumstances? Great news - My taxes are done! Woohoo! 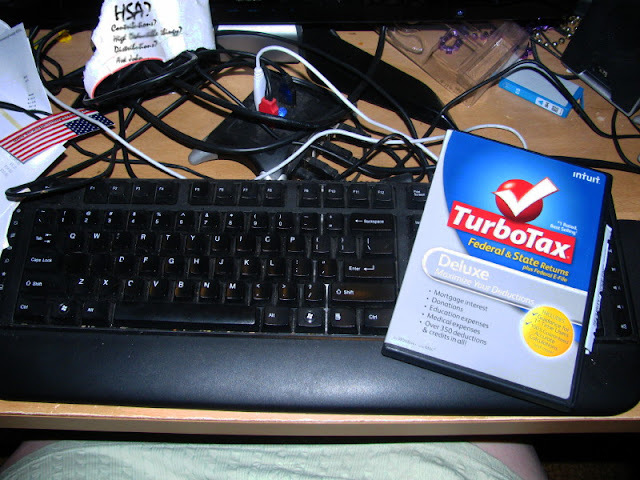 Thanks to TurboTax, my taxes are done! Start yours now for free. 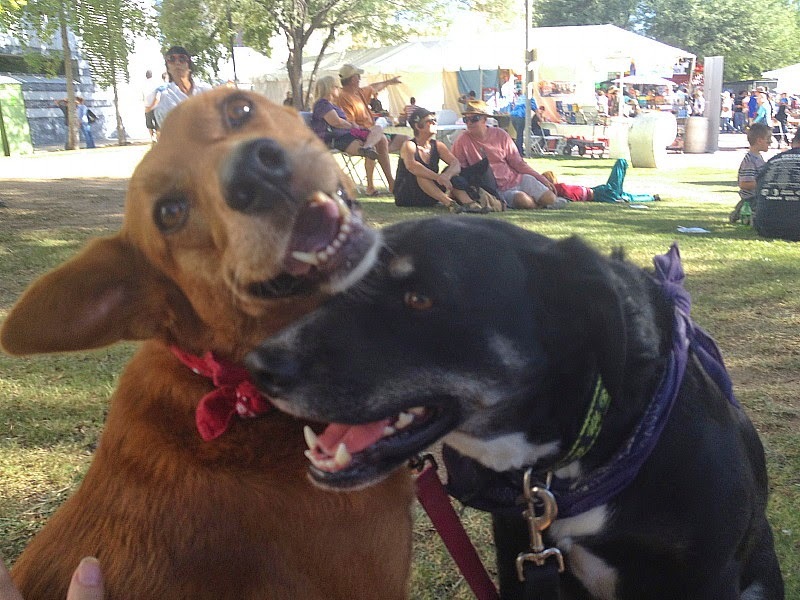 Krissy Knox and Sarah Kishler like this. Okay, so maybe it was a little crass to promote TurboTax that night, all things considered; but at that moment I felt like celebrating. I had gotten through all of the knotty problems of this year's tax return, and the refund was going to be better than expected, enough to rebuild the cash cushion we wiped out in January with the down payment on my KIA. John wants to spend it all on house repairs and such, but it's still good news. John was pleased about the refund, but less so about how long it took me to claim it. Even though I'm an accountant, and furthermore rely on my favorite tax preparation software, income tax preparation still intimidates me, almost every year. This year I was worried about the amended tax forms I got from First Magnus Liquidation Trust, and about the 40 boxes of donations to St. Michael's to sell at the English Faire, the dregs of which I hadn't finished cataloging after many hours of work on it. Plus I recently started working full time again, and had less time for chores at home. So I'd put it off until the very end of March, or possibly the first of April. The First Magnus thing turned out to be far less intimidating than expected, but other issues more than made up for this. Wells Fargo had sold my student loans, which made it hard to find out how much I paid in interest on them last year. The screens about John's Health Savings Account asked about stuff I'd never heard of, and I ended up going through them over and over until they made sense to me. And I did a certain amount of wrangling and negotiating to get John to produce some of the info I needed to finish. You see, for the first 20 years of our marriage, John either did the taxes or hired an accountant because of the business he used to co-own. 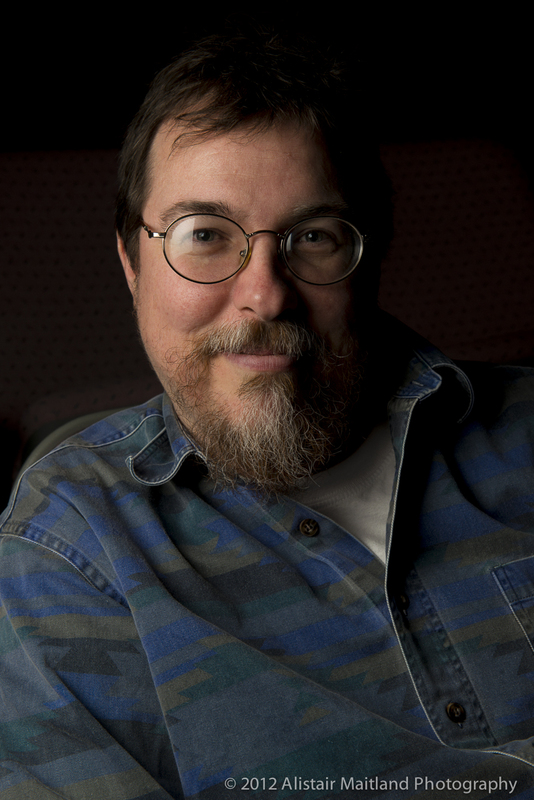 When I was partway through my accounting degree, John declared the taxes my sole responsibility from then on. He finds them stressful, too, and doesn't want any part of the process except the spending of the refund. Still, John did get the answers I needed about his HSA and other insurance, the e-file has been accepted by the IRS and the state, and the money should hit the bank in another week or so. Hooray! Now all I have to do is get the 2008 amended return into an envelope and mail it. That's nothing compared to what we went though one year, over taxes we thought were over and done with. Somehow we thought the CPA had mailed in our tax return that April, and he thought we had done so. The IRS eventually got in touch, wanting to know where it was! The CPA wrote a letter, we sent it in and everything was fine. But we're not making that mistake again! 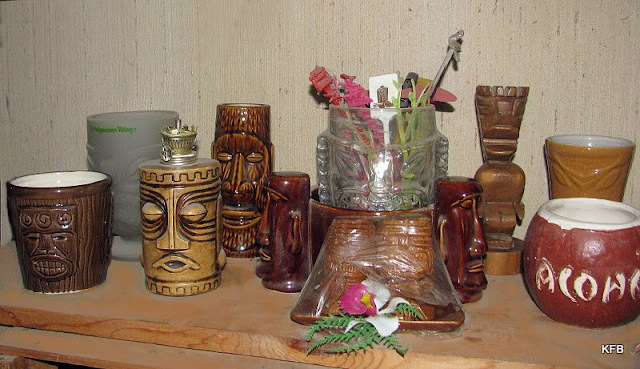 It's Tiki Time again! This week's Round Robin Photo Challenge topic, as suggested by Marina of MilePebbles, is "Collections." We have many different collections here at the Museum of the Weird: classic Star Trek toys and collectibles (mostly in boxes, alas), Quantum Leap scripts, vintage and mod era Barbie dolls, trolls and Wishniks (some of which had their hair pulled out by Cayenne on at least two different occasions), old toys and games, Doctor Who novels, Disneyland postcards, and on and on. 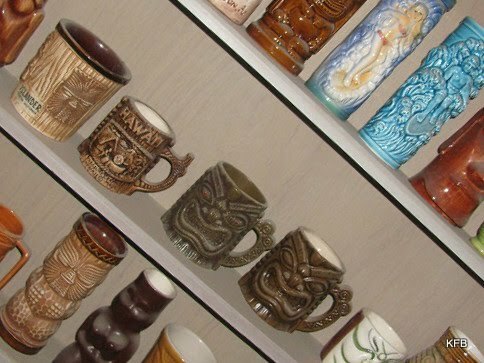 But I think one of the most photogenic collections, certainly one of the most accessible, is the Tiki collection. 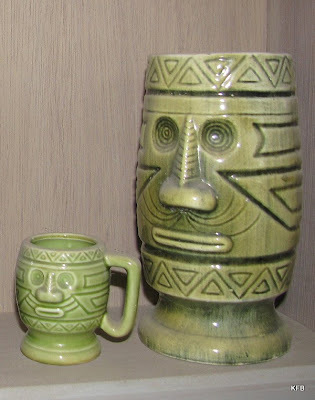 I've shown you many of our Tiki artifacts before, but let's jump in again, shall we? 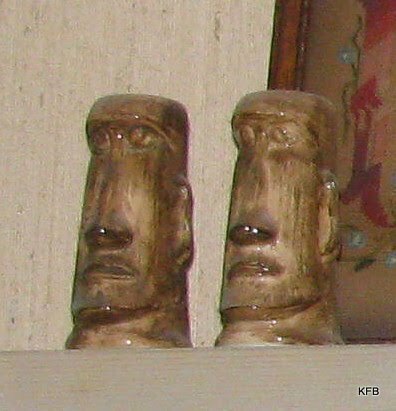 Other Tiki items are perched atop a wall of crates housing our record collection. You can also see our vintage swizzle stick collection here. These are a plastic set, from K-Mart of all places. 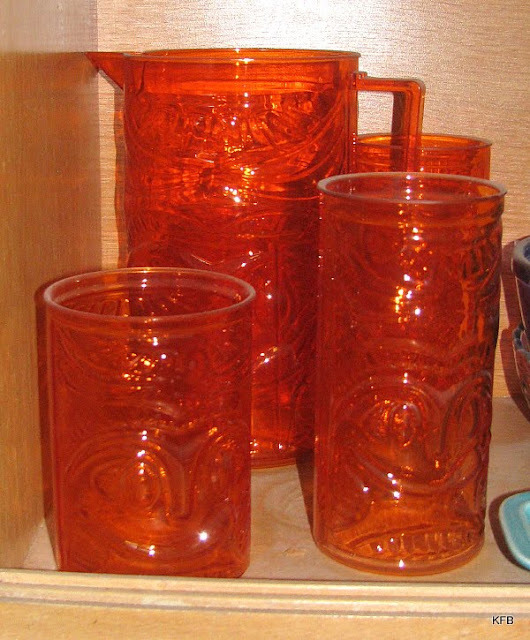 It's not just about mugs. 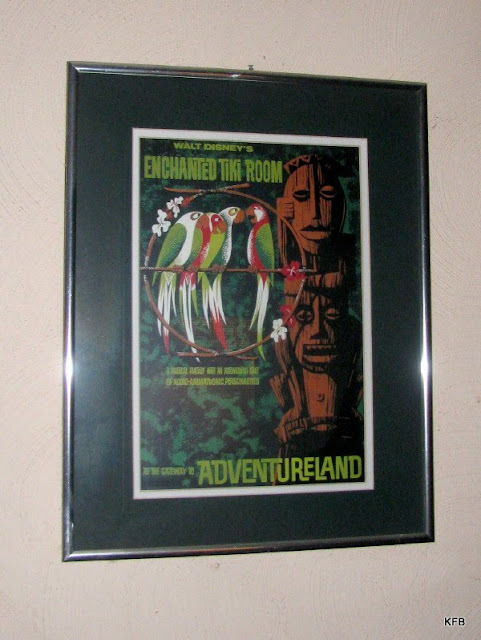 Among the Tikis are bowls, a lighter, salt and pepper, and of course this poster. Now let's see what other Robins have collected! Oops! 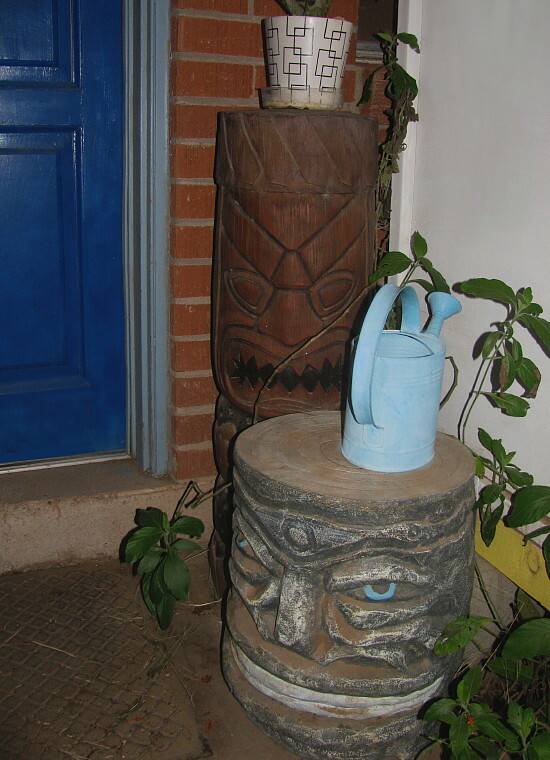 I forgot about our outdoor Tikis! Weekend Assignment #364: Ahead in the Clouds? Suddenly the marketing departments of Microsoft and other tech giants are all about "the cloud" or "clouds," the practice of storing large files online and streaming them rather than everyone storing them locally on their hard drives. Do you think this is a good idea, a bad idea or both? Extra Credit: Do you still buy CDs and DVDs? At this moment, John is watching YouTube videos in the bedroom on his iPad. 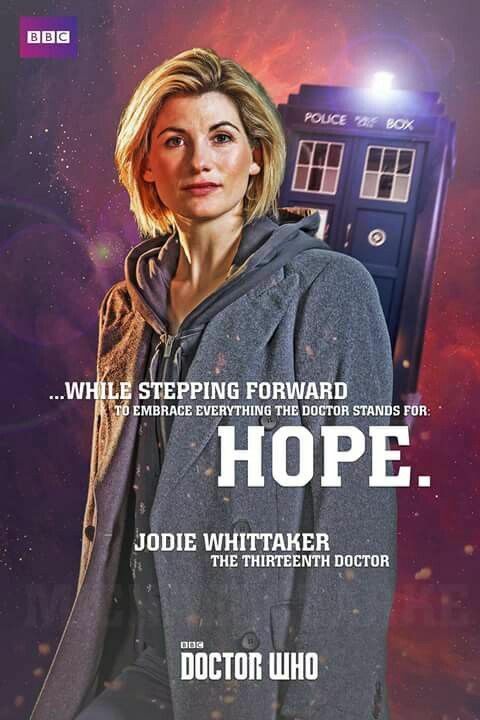 Walking by there a few minutes ago, I heard the distinctive voice of the Eleventh Doctor, and immediately joined John on the bed to watch the two brief Doctor Who videos from this year's British comedy/charity event Red Nose Day. We compared notes about BabelColour, a particularly good maker of Doctor Who-related videos on YouTube, and then I moved on. We actually do have downloads of the mini-episodes "Space" and "Time," but we watched the streaming versions anyway on John's silly little tablet. He also uses it to stream Netflix. All in all, though, I'm not that much into using cloud-based streaming and storage in preference to having the file locally, or even a physical object. I don't buy many CDs, but I do buy every Doctor Who CD from composer Murray Gold more or less as soon as it's available in the U.S. A few of them I've bought twice, because I've been known to wear them out.Then I rip them to iTunes at work and at home. If the CD player in my car worked, I'd play the actual CDs on it. And I often raid the CD shelves for Beatles CDs to add to a computer or my outdated iPod Mini. Videos? Okay, yes, I'll settle for YouTube streaming if the video is short and amusing and I don't really care about it, or if I know I'll eventually have a good commercial copy, or I can't get it any other way and I need to see it right now. Otherwise, I'd rather have a download for stuff I'm going to watch once or twice, or watch about a dozen times in the next few months until the DVD comes out. Mostly, I have the same attitude toward video that I have toward books: if it's something I know I like, I want to own it, and have it instantly available to me at any time, day or night. I suppose I could stream something at 3 AM just as easily, but will that same show be available to watch online at 5 AM on a Wednesday morning three years from now? Maybe, maybe not. I'd rather not take that chance. Then again, there's a certain Luddite undercurrent to my protestations. I don't know how to stream something from Netflix or iTunes, and I don't especially want to learn. If I really had a good reason to do it, I'd do it, and it probably wouldn't even be hard to figure out. But I'm not there yet. I do host photos remotely on Picasa and Photobucket and Flickr, but with very few exceptions I have the same exact edit of every image on my hard drive, and probably on my G drive as well. 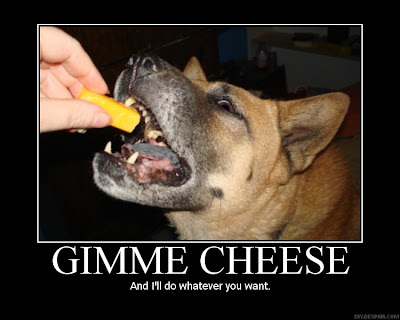 The few files I have on Google Documents instead of my hard drive in Word or Excel format are either things I got from other people or needed to share with Carly for a meme. Really, the only files of mine that exist in a cloud and not on my computer or my emails. 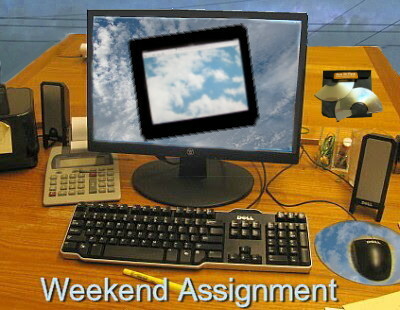 Still, if I had an iPad or even an iPhone, I'd probably start to embrace cloud technology. I saw at the Gallifrey One convention that an iPad not being used to the fullest extent of its capability is hardly worth having, especially for the price. Even so, the more time John spends in the bedroom, streaming Dr. Horrible on his iPad for the fifth time this week, the more I want to get into the act - clouds and all. Now it can be told: when I started this new job, 40 miles northwest of my home, I decided to take advantage of the opportunity to study for my pilot's license. As of today, I've been given the go-ahead to enter an elite training program that prepares pilots to operate vintage aircraft at air shows and other venues. After a period of apprenticeship at the Pima Air and Space Museum (one of my favorite places in Tucson! ), I hope to qualify as a pilot on a B-17, the same kind of bomber on which my dad was a navigator in World War II for seven missions before going down over Czechoslovakia in a sabotaged plane. Exciting, huh? So far, I've only flown a Hawker and a Falcon, but my instructor is very encouraged. I must say I'm rather proud of myself. Even if I don't end up in the B-17, Tucsonans may well see a vintage plane in the sky at the air show next March, with me in the cockpit! The pilot of one of the two airplanes owned by First Magnus, July 2007. Almost exactly a month before the company collapsed, the accounting department made a field trip out to the hanger where the two planes, a Hawker and a Falcon, were housed. 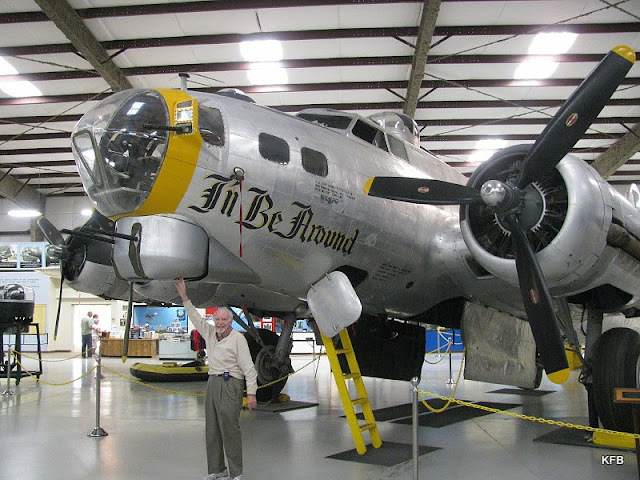 My dad at the Pima Air and Space Museum, January 2011. One of the First Magnus planes, July 2007. 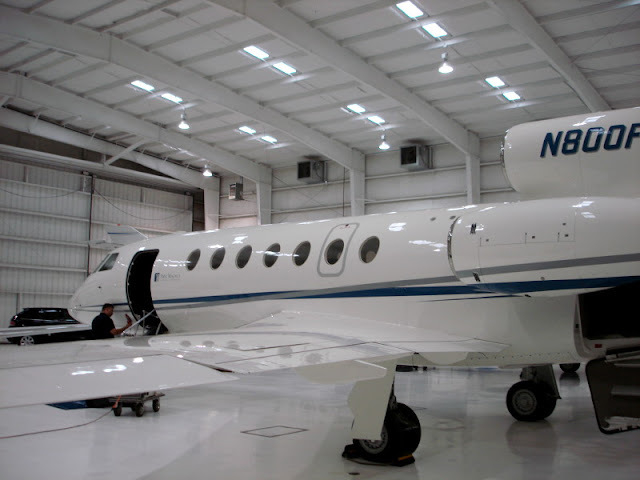 It's probably the Dassault Falcon. 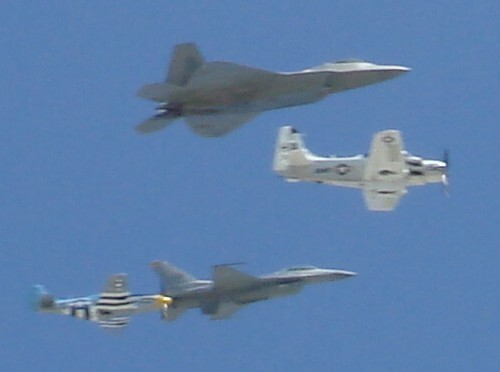 A grouping of planes from the annual "Heritage Flight" in Tucson, flying over my house several years ago.